Cross-posted from The Agenda on National Review Online. The Left’s solution is rationing: the government should determine when individuals are seeking care they don’t need, and prevent them from obtaining it. The Right’s solution is privatization: let individuals pay for the care they want, even if that means that some people are able to afford more care than others. I’m sorry, but this simply isn’t true. I think [Avik is] accurately representing the position of many on the Right. But not the Left. I would say that the position of many on the Left (and it’s the “Lefty-Left”) is that government should determine what care individuals need and pay for that. For everything else, let individuals pay for the care they want, even if that means that some people are able to afford more care than others. Notice the difference? Avik implies that the Left wants to tell you that you can’t have care you’re willing to pay for. That’s simply not true. Avik implies that the Left wants to let the government tell you that you can’t have things even when you want to pay for it out of pocket. I have met no one – at least no one serious – that wants this. 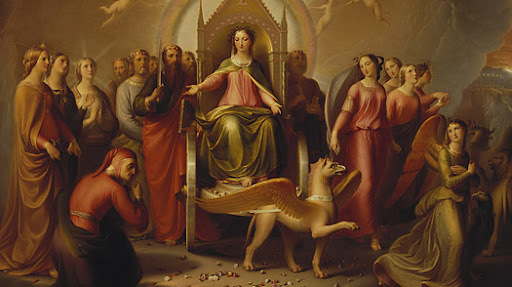 Actually, both sides claim the same things as virtues. As per Aaron’s formulation, the Left seeks a base level of health care that is guaranteed for everyone. Anything above that, the government doesn’t pay for. Sounds reasonable enough. However, the Right, too, seeks a base level of health care that is guaranteed for everyone, upon which the rest is left up to the individual. So, if the Left and Right want the same thing—a base level of health care for everyone, upon which individuals can seek optional supplemental care—why are we fighting so much about health policy? It’s because there is a gulf as wide as the Atlantic Ocean between what liberals and conservatives see as the “base level of health care” that should be guaranteed for everyone. 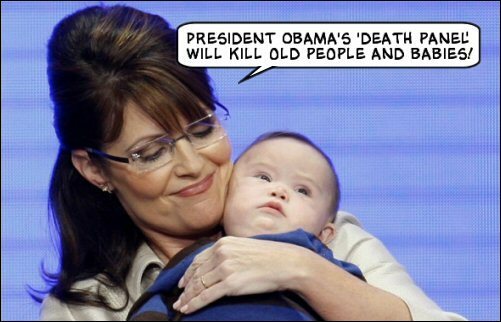 What does this have to do with death panels? Precisely everything. The entire reason death panels exist in Britain is because, when the NHS was founded in 1948, few people understood that making health care “free at the point of care” would lead people to use more of it: much more. To the point that today, in Britain, the U.S., and nearly every other country, health care is sinking the budget. No country with a socialized system, including ours, has found the political will to attenuate the universal, unlimited health care entitlement, once installed. So governments come up with politically non-transparent ways to deal with the problem. One routine tactic is to pay doctors and hospitals and companies less for their services and products, leading to poorer and poorer quality. There comes a point, however, when you’ve cut all you can cut out of hospitals’ and doctors’ pay. At a certain point, the brightest people stop applying to medical school, because they can make more money by going to law school or business school instead. At a certain point, the cost of care becomes greater than what the government pays you for that care, leading providers to do the rational thing and stop providing care. This is why we keep tweaking the notorious “Doc Fix”: because we’re already dramatically underpaying doctors for taking Medicare and Medicaid patients, relative to what they can make treating privately-insured patients. At that point—the point at which you’ve used up all the politically easy ways to cut health-care costs—you have to start reducing the actual benefits that government-sponsored health care beneficiaries receive. Indeed, as Bill Gardner points out, this is already happening at the U.S. state level. Arizona has begun denying Medicaid reimbursement for organ transplants. I’m not sure why, but Bill seems to see this is a rebuttal to the argument that government-sponsored health care inevitably leads to death panels. Quite the opposite. All you have to do is see the hyperbole surrounding Paul Ryan’s exceedingly modest plan for Medicare reform to know that reducing Medicare benefits is politically difficult. So, what is the PPACA-led alternative? The Independent Payment Advisory Board, or IPAB. Peter Orzsag, Donald Berwick and other IPAB advocates hope that the new body will ultimately become an effective tool for doing exactly what the NHS does: denying state reimbursement for treatments that a group of unelected experts believe to be less useful. What I’d like to flesh out is the philosophical consistency. To the progressives who claim that IPAB isn’t meant to be a death panel: are you opposed to what NHS’ NICE does; i.e., approving reimbursement for procedures and products based upon their utilitarian impact on quality-adjusted life years? If so, why? And what method of measuring cost-effectiveness would you put in its place? There is widespread agreement that, in America, we don’t do enough to consider the consequences of modern medical miracles. Medicare pays for anything and everything: so the elderly have an incentive to seek aggressive treatment for diseases that weren’t even treatable a decade ago. The “unintended” consequence of this conundrum is exploding Medicare costs, costs that may literally wreck this country. There are a lot of policy arguments to be made against rationing and in favor of privatization: for one, health care expenditures in socialized systems are increasing at rates that are equal to, or even higher, than those in the United States. But the reason why “death panels” have aroused so much passion is because they touch on something more personal and more ethical. Comment: We received a number of comments from physicians, health care providers, and others urging us to add voluntary advance care planning as an element to the definitions of both the “first annual wellness visit” and the “subsequent annual wellness visit.” They base their recommendation upon a number of recent research studies, and the inclusion by statute of a similar element in the existing initial preventive physical examination (IPPE) benefit. Response: We agree that voluntary advance care planning should be added as an element of the definitions of both the “first annual wellness visit” and the “subsequent annual wellness visit” based on the evidence described below, and the inclusion of a similar element in the IPPE benefit (also referred to as the Welcome to Medicare visit), since January 1, 2009. We believe that this will help the physician to better align the personal prevention plan services with the patient’s personal priorities and goals. An individual’s ability to prepare an advance directive in the case where an injury or illness causes the individual to be unable to make health care decisions. Whether or not the physician is willing to follow the individual’s wishes as expressed in an advance directive. This definition is based on the definition of “end-of-life planning”, which is included as an element of the IPPE as described in section 1861(ww)(3) of the Act. Thus, the addition of “voluntary advance care planning” to the AWVs extends to those visits a similar element to the one already in the one-time IPPE. Donald Berwick’s nomination to head CMS was controversial precisely because he is a passionate advocate of the British system, in which there are indeed death panels that prevent patients from receiving life-extending therapies for cancer, blindness, and other conditions. In his commentary above, Berwick cleverly cites several academic studies that show that end-of-life planning is a good thing: that it’s good for individuals and families to think ahead about what kind of care they want, in situations where they might only be able to live with the assistance of machines. Yet there is no disagreement about the value of end-of-life planning. Where there is disagreement is as to the propriety of state involvement in the plan. Earlier this year, I wrote a lengthy piece describing the concerns that many Americans have with state-sponsored end-of-life planning: concerns that Atul Gawande and others have dismissed as “demagogic.” The problem is, when the state pays for your health care, the state has an incentive to avoid paying for end-of-life care. When the government pays for end-of-life planning, it has a conflict of interest, because it has every incentive to encourage the elderly to “pull the plug” instead of encouraging them to fight to stay alive. This is why Britain has the system it has. While the new law does not mention advance care planning, the Obama administration has been able to achieve its policy goal through the regulation-writing process, a strategy that could become more prevalent in the next two years as the president deals with a strengthened Republican opposition in Congress. After learning of the administration’s decision, Mr. Blumenauer’s office celebrated “a quiet victory,” but urged supporters not to crow about it. 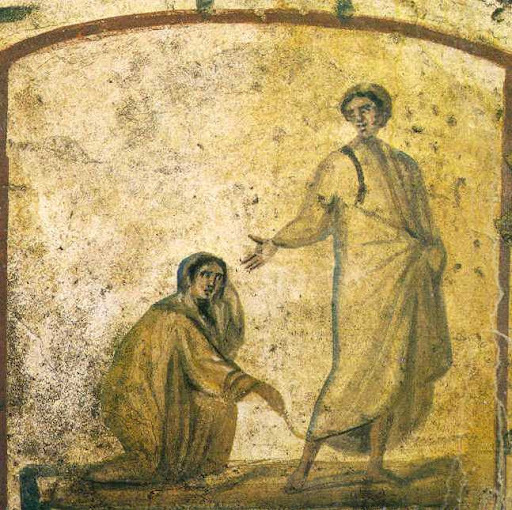 Image: Christ and the Hemorrhaging Woman, from the Christian Catacombs of Rome. There are no miracle cures awaiting us as we ponder how to improve our health care system. All we can do is try our best, and remain humble in our estimation of our abilities to commend wise reforms to something so complex, and something that has a direct impact on all of our lives. Many of you have commented on my infrequent blogging of late—I’m honored that my work, or lack thereof, has been noticeable. The short answer is that I’ve been very busy with other things this quarter: but my aim is to be writing again on a more regular schedule beginning in January, perhaps something like two-to-three times a week. The pause has afforded me the opportunity to think about some of the big questions facing health care reformers over the next two years. I’ll write more about that in my next post. If you follow health policy enough to read this blog, you know that the much-anticipated Virginia decision on the constitutionality of Obamacare’s individual mandate came down last week. In that decision, Judge Henry Hudson, of the U.S. District Court for the Eastern District of Virginia, ruled that the individual mandate was unconstitutional. He also overturned any part of PPACA that specifically referenced the individual mandate, while upholding the rest of the law. Unsurprisingly, Hudson cited Free Enterprise Fund v. Public Company Accounting Oversight Board as part of his justification for partially repealing the law, despite the lack of a “severability clause” that would have explicitly allowed the courts to partially overturn the law. There has been plenty of intelligent commentary on the decision. Allow me to lead you to some of the best, intercalated amongst my own thoughts. 1. How sound was Hudson’s ruling, and how likely is it to be upheld by the Supreme Court? In reading the opinion, I was struck by its carefulness. Hudson was rather precise in attempting to draw out how PPACA extended congressional powers farther than they had ever been extended before. There are two key Supreme Court cases that dramatically broadened the Constitutional provision that allows Congress to regulate “interstate commerce”: Wickard v. Filburn, a 1942 case in which the Supreme Court absurdly ruled that a man growing wheat to feed his chickens was conducting interstate commerce, even though he had no intention to sell it; and Gonzales v. Raich, a similarly suspect 2005 case in which the Court agreed that the Commerce Clause allowed Congress to regulate the ability of a man to grow marijuana in his own home for his own use. 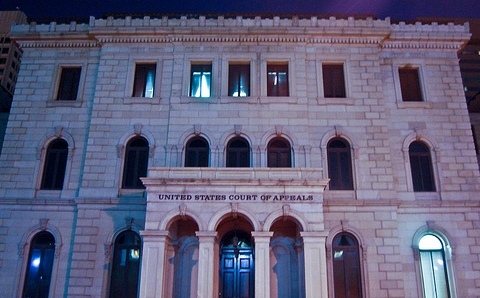 Hudson argued in his ruling that PPACA goes farther than the laws in question in Wickard and Gonzales, by penalizing inactivity as opposed to activity. In other words, he increased the likelihood that his ruling would be upheld upon appeal by not forcing the Supreme Court to overturn either of these two prior judgments. What the Supreme Court actually ends up doing will depend entirely upon whether or not Anthony Kennedy agrees with Henry Hudson. I would say the odds are 60-40 in Hudson’s favor. The weakest part of Judge Hudson’s opinion is his analysis of the government’s Necessary and Proper Clause argument, which merely claims that the Necessary and Proper Clause only authorizes legislation that is linked to an enumerated power, but does not really explain why the mandate is not. In my view, a far better answer to the government’s argument is that the mandate isn’t “proper” even if it is “necessary” and that it runs afoul of the five part test recently outlined by the Supreme Court in United States v. Comstock. I discussed both points in some detail in the amicus brief (pp. 25–30), and in a shorter form here. In fairness to the judge, his neglect of this point may have been due to the fact that the federal government gave it short shrift in their brief (allocating less than two pages to it buried in the middle of a fifty page brief). While co-blogger Orin Kerr and I believe that this is the government’s strongest argument, few other commentators seem to agree. In today’s New York Times Room for Debate forum on Hudson’s opinion, none of the contributors (including four prominent scholars who support the individual mandate) even mentioned this issue. Still, the opinion can and should have addressed this point much better. At NRO’s Bench Memos blog, Carrie Severino agrees with this assessment. 2. What other aspects of PPACA were overturned with this decision? It would be virtually impossible within the present record to determine whether Congress would have passed this bill, encompassing a wide variety of topics related and unrelated to health care, without Section 1501 [the individual mandate]. Even then, the Court’s conclusions would be speculative at best. Moreover, without the benefit of extensive expert testimony and significant supplementation of the record, this Court cannot determine what, if any, portion of the bill would not be able to survive independently. Therefore, this Court will hew closely to the time-honored rule to sever with circumspection, severing any “problematic portions while leaving the remainder intact.” Ayotte, 546 U.S. at 329, 126 S. Ct. at 967. Accordingly, the Court will sever only Section 1501 and directly-dependent provisions which make specific references to Section 1501. If the constitutional challenge to the Affordable Care Act’s individual responsibility requirement ultimately prevails, it would mean that provisions preventing health insurance companies from discriminating against people with pre-existing conditions would also be invalidated by the court because the two are inseparably linked. If insurance companies are required to cover those with pre-existing conditions, who are potentially more expensive to cover, without requiring everyone—both sick and healthy people—to have insurance, premiums will increase rapidly. Similarly, other provisions – including banning insurers from discriminating based on health status, age and gender – would also fall. Over at Reason.com, Peter Suderman points out that the whole architecture of PPACA hinged on the individual mandate. To make the argument explicit: In order to require insurers to cover everyone, you need an individual mandate, because the insurer requirements will otherwise lead to an adverse selection death spiral and incentivize young, healthy people to opt out of the system. If you are to have an individual mandate, you have to subsidize insurance for lower-income people, because it’s unfair to force people to buy a product they can’t afford. The massive costs of these subsidies, as reflected in the expansion of Medicaid and the creation of the state-based exchanges, was paid for by various tax increases and spending cuts (mostly to Medicare Advantage). Hence, there is a case to be made that, if the individual mandate is unconstitutional, so is the lion’s share of PPACA. I’m not surprised that Judge Hudson declined to take on that question, however. Ultimately, if Hudson’s ruling is upheld, it will be up to the Supreme Court to sort out this question. If the Supremes rule as narrowly as Hudson has, it will be up to Congress to clean up the mess, which could most simply be achieved by repealing the entire law. 3. Does repealing the individual mandate increase or decrease the likelihood that PPACA is ultimately repealed? Some have argued that overturning the individual mandate rids PPACA of its least popular provision, and thereby makes it less politically likely that the whole law is repealed. I disagree. As any health wonk will tell you, without an individual mandate, PPACA will lead to the collapse of the private insurance market, unless the courts also strike down guaranteed issue and other insurance regulations. Furthermore, overturning the individual mandate enhances the moral prestige of repealing PPACA wholesale. It bears repeating that most progressives dismissed the Constitutional arguments against Obamacare until this ruling (and many still do). It will be more difficult to do so now. 4. Are conservatives hypocrites? From a policy standpoint, is the individual mandate a good or bad thing? It is true, however, that when Mitt Romney installed the individual mandate in Massachusetts, he did so with the backing of the Heritage Foundation and others. Benen alleges that their change of heart is “about cheap politics.” One can never exclude cheapness from politics, but pro-mandate conservatives had plenty of legitimate reasons for changing their minds. One, addressed above, is the Constitutional difference between state-level mandates and federal ones. From a policy point of view, however, the more important factor was the experience of seeing the mandate in action in Massachusetts. The idea behind RomneyCare was to limit the impact of free-riders, who take advantage of a federal law requiring hospital emergency rooms to treat patients regardless of their ability to pay. If you limit the free-riders by forcing them to pay into the system, it was thought, you lower costs for everyone. On the average, people without health insurance consume only about half as much health care as everyone else — after adjusting for other characteristics; and of the amount of care they consume, they pay for about half from their own resources. So, roughly speaking, the “free ride” for the average uninsured person is equal to about one-fourth of what everyone else spends on health care. In other words, the more insurance that people have, the more people are incentivized to increase their health spending, leading to increased, not decreased, costs. Secondly, the mandate is collected by the central government, while care is delivered locally: so there is no direct connection between those who are paying the penalty, and how that care is paid for by hospitals and governments. Third, we punish people for buying insurance outside of the employer-sponsored system using the tax code, disincentivizing those who need or want to purchase insurance outside of that system. Progressives who think that the conservative change of heart on the mandate is purely political would be wise to consider the above policy points. I have long advocated the Swiss system, because the Swiss have achieved universal coverage while spending a miniscule 3% of GDP on health insurance subsidies. Given what I’ve written above, however, it cannot be ignored that the Swiss system does have an individual mandate, guaranteed issue, and community rating. It’s important to remember that, in Switzerland, these requirements exist within a purely private insurance market, in which there is no government-run insurer like Medicare or Medicaid. It is my view that the Swiss system could be adapted for American purposes by replacing the mandate with a German-style limited enrollment period, as Paul Starr has advocated at The American Prospect. The limited enrollment approach requires individuals to buy insurance, say, in the month of January during a leap year: if an individual chooses to opt out of insurance at that time, he cannot purchase insurance again until January of the following leap year. This way, individuals are free to opt out of the system, but prevented from taking advantage of insurance rules regarding pre-existing conditions. Such an approach is more consistent with American customs of liberty and choice than is the individual mandate. Here’s hoping that Anthony Kennedy agrees with me. Cross-posted from National Review Online. It’s an oft-repeated joke in Washington: When the going gets tough, the tough appoint a commission. Presidents appoint commissions so they can say that they’re “doing something” about a politically thorny problem without actually making any difficult choices. But congressional commissions aren’t always the joke they’re made out to be. In 1988, as the Cold War came to an end, Congress organized the Base Realignment and Closure Commission as a way of reducing our military footprint. The unorthodox idea was to close obsolete military bases on strategic merit, rather than the parochial interests of individual congressmen. The BRAC process was an enormous success, and the “peace dividend” that BRAC generated did much to balance the budget in the 1990s. In 1997, Congress created the National Bipartisan Commission on the Future of Medicare as part of the Balanced Budget Act of that year. Led by Sen. John Breaux (D., La.) and Rep. Bill Thomas (R., Calif.), and with a staff headed by an unknown 26-year-old named Bobby Jindal, the Breaux-Thomas Commission put together the most credible plan for Medicare reform ever to receive bipartisan support. Unfortunately, because of the political dynamic fostered by the Monica Lewinsky scandal, that plan never made it into law. President Obama sought to draw on the credibility of these commissions when, last January, he established the National Commission on Fiscal Responsibility and Reform. The president had already signed the $1 trillion stimulus package and was assembling the votes to push Obamacare through the House. He needed to throw a sop to those who were complaining about deficit spending. And a sop is what he got. The commission, as designed, consisted of 18 members: six appointed by the president, six appointed by the House, and six appointed by the Senate. 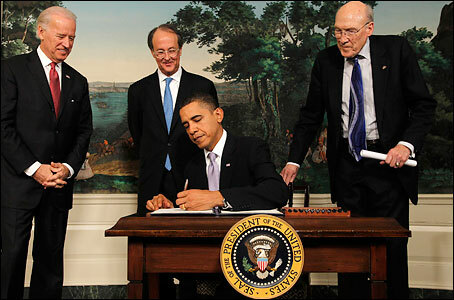 President Obama chose former Wyoming senator Alan Simpson, a moderate Republican, and Erskine Bowles, who was chief of staff in the Clinton White House, to lead the commission. Obama’s other appointments consisted of one Republican and three Democrats, and the House and Senate each sent three Democrats and three Republicans. For anyone keeping score, that adds up to ten Democrats and eight Republicans. This was a commission set up for failure. In order to endorse a formal proposal, the commission required 14 votes out of 18: 78 percent of the commission’s members. When you consider the fact that Andy Stern, a left-wing laborite, was never going to vote for any serious deficit-reduction measure, you’re talking about 14 out of 17, or 82 percent. It’s hard enough to get a simple majority of politicians to agree on deficit-reduction measures, let alone a four-fifths majority. And that’s before you consider the fact that Republicans, who are normally more sympathetic to deficit-reduction measures, were outnumbered: Even if all eight of them supported the commission’s findings, six out of ten Democrats would also need to join in. Given these odds, it’s somewhat miraculous that the commission came up with any useful ideas at all. To its credit, the Commission made constructive proposals for capping discretionary spending, reforming Social Security, and simplifying the tax code (albeit with substantial tax hikes). But the commission utterly failed in the area in which it needed most to succeed: steering our health-care entitlements onto a sustainable path. According to the long-term outlook of the Congressional Budget Office, nearly the entirety of the growth in federal spending -- and hence the entirety of the growth of our fiscal cancer -- is driven by runaway spending on health care: Medicare, Medicaid, the Children’s Health Insurance Program, and Obamacare’s exchange subsidies. In contrast, over time, Social Security and other discretionary spending will actually stay relatively constant as a percentage of GDP. When it comes to health care, the commission’s plan would hardly prevent a fiscal collapse: Instead, it would guarantee one. By replacing the meaty plan of the old Breaux-Thomas group with a hodgepodge of half-measures, the commission did nothing to address the fundamental flaws in government health policy. First off, this being President Obama’s commission, repealing Obamacare was off the table. Hence, any consensus would involve endorsing and ossifying the budget-busting aspects of our new health-care law: the massive expansion of Medicaid and the huge new insurance subsidies for lower-income individuals. (The CLASS Act, a new entitlement for long-term care, was a notable exception; the commission did recommend its repeal, if it cannot be adequately reformed.) Spending on these programs is certain to exceed CBO projections, and tax rates can’t increase fast enough to make up the difference. The commission missed other opportunities for reform. Instead of eliminating the employer tax exclusion—the tax break that allows employers but not individuals to buy health insurance tax-free—the Commission proposed tinkering around the edges: capping the deductible amount at the 75th percentile of premium levels and reducing the “Cadillac tax” on expensive health plans. In contrast, real reform would either eliminate the exclusion altogether, or give individuals the same tax break, so that individuals could buy insurance for themselves. This reform alone would transform our health-care system and is arguably more important than any other. Instead of seizing this opportunity, the commission chose to dabble in it. On Medicare, the commission did its least bad work. The core problem with Medicare is this: If people are able to get an unlimited amount of health care for free, they will use more of it than they need. There are two ways to solve this problem: (1) giving seniors more control over their own health-care dollars, so they have an incentive to spend the money wisely; or (2) empowering government bureaucrats to deny care when they find it too costly. It won’t surprise you to learn that the commission leaned toward option number 2. The commission did make some constructive proposals on the free-market side: It proposed (very modestly) increasing the degree to which seniors share in the costs of care, and it proposed (again, modestly) restricting the ability of private insurers to offer “Medigap” plans that wipe out Medicare’s cost-sharing provisions. The commission proposed ending the practice of reimbursing hospitals and doctors for bad debts caused by failure to collect co-payments from patients, something that should have been done a long time ago. But they proposed these measures only to pay for increased spending elsewhere, and other needed reforms were nowhere to be found. The commission didn’t address the need to index the Medicare retirement age, nor the need to means-test Medicare benefits. Paul Ryan’s proposal to gradually shift Medicare from a defined-benefit to a defined-contribution plan—one that would do much to solve the fiscal problem—was shriveled into a symbolic pilot program within the Federal Employees Health Benefits System. The rest of the commission’s proposals for Medicare involve enhancing the reach of Obamacare: expanding the authority of the Independent Payment Advisory board; applying Medicaid-style drug-price controls to Medicare; and accelerating the implementation of the legislation’s Medicare pilot projects. On Medicaid, a $500 billion–a–year (and growing) program that has somehow managed to become a fiscal crisis and a humanitarian crisis at the same time, the commission proposed essentially nothing. They aspire to “restrict and eventually eliminate” a Medicaid tax loophole that states use to bilk the federal government, for savings of around $5 billion a year, though they didn’t specify how to do it. They hope to pass some administrative costs to the states, for a “savings” of under $300 million a year. They recommend that Washington grant waivers to certain states, under a plethora of conditions, to experiment with their own ideas for Medicare reform. Given that Medicaid is the program most immediately in crisis, with the potential to drive large states such as New York and California into bankruptcy, the commission’s silence on Medicaid is breathtakingly irresponsible. It’s one thing for the Commission not to endorse real Medicaid reform: but to not even propose it? If you’ve managed to get through the preceding 1,300 words, let me summarize them in one: punt. On December 3, the commission’s findings received the support of eleven of its members, well short of the 14 it needed to make an official endorsement. (Those opposed included Max Baucus, all of the House members save John Spratt, and—wait for it—Andy Stern.) But on the critical issues surrounding health-care entitlements, the commission, as a group, got nowhere. Is there hope for Americans concerned about our fiscal dysfunction? Yes, some. The commission’s final report does contain a few measures that the next Congress would do well to consider. The path forward, however, is most likely to revolve around proposals put forth by individual commission members. James Capretta praises the plan from Paul Ryan and Alice Rivlin, which, while imperfect, far exceeds the commission’s work in wrestling with health-care entitlements. Importantly, come January, Representative Ryan will be in charge of the House Budget Committee, and will be thereby able to put some of his ideas into actual legislation. Ultimately, the failure of the National Commission on Fiscal Responsibility and Reform was a failure of leadership. One man could have done much to encourage the commission to take bolder steps and tackle the hardest issues. Unfortunately, that man was President Obama. 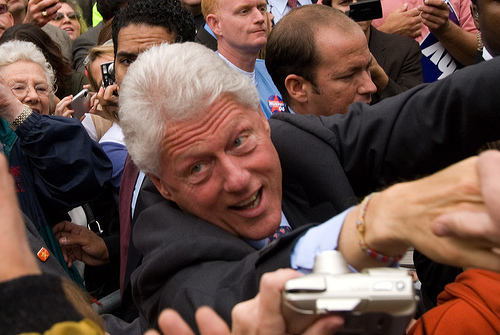 Who could have figured that Obama would make Americans miss Bill Clinton? In the grand bargain struck between the President and the pharmaceutical industry, the industry lost. 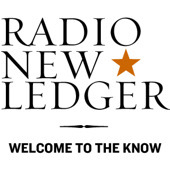 The New Ledger, host of Coffee & Markets, does a regular podcast on a variety of topics, to which you can subscribe via iTunes. Throughout the month of December, Coffee & Markets will be looking back at the most significant stories of 2010 with “recap interviews from leading thinkers” (me excepted). The National Commission on Fiscal Responsibility and Reform has put out its anticipated report, entitled “The Moment of Truth.” In this post, I summarize the Commission’s recommendations on health care policy, with minimal editorializing. I’ll put out a subsequent post with my assessment of the actual quality of these recommendations. Modifying the employer tax exclusion. Currently, employer-provided health insurance is excluded from taxable income, something that grossly distorts our health care system by taking purchasing decisions out of individuals’ hands and placing them in the hands of HR bureaucrats. I have advocated eliminating this exclusion entirely as a way to increase revenue and lower health costs. The Commission advocates capping the deductible amount at the 75th percentile of premium levels in 2014, and freezing the cap (i.e., not indexing it to inflation) from 2018 to 2038. The Commission also advocates reducing Obamacare’s “Cadillac tax” to 12% from 40% on high-cost plans. 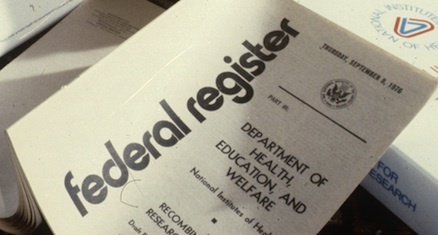 Reforming the Medicare Sustainable Growth Rate (SGR) “doc fix”. The “doc fix” requires the government to reduce payments to doctors and physicians if health costs exceed the Sustainable Growth Rate, a blend of health inflation, GDP, and other measurements. Congress keeps overruling the SGR and paying doctors and hospitals at higher rates; bringing payment rates in line with SGR in 2012 would require a 23% cut to physician and hospital payments. The Commission recommends freezing rates at current levels (i.e., continuing to spend well above SGR levels), enacting a 1% cut in 2014, and directing Medicare to come up with a new payment system that would “cost about $22 billion less” than freezing payments at current levels. That is to say, the Commission advocates punting the SGR situation and saving costs elsewhere to make up for the excess spending. Reform or repeal the CLASS Act. The CLASS Act, a voluntary entitlement for long-term care, was famously described last year by Kent Conrad as “a Ponzi scheme of the first order, the kind of thing that Bernie Madoff would have been proud of,” but Conrad voted for it anyway. The Commission advocates reforming the CLASS Act “in a way that makes it credibly sustainable over the long term”—good luck with that—or repealing it. Because the CLASS Act will rake in more money in the near term but lose money in the long term, it is considered a deficit-reducing measure within the CBO’s ten-year scoring window. Hence, repealing it will require matching tax increases or spending cuts. Increased cost-sharing ($110 billion). Reforming Medicare cost-sharing rules, by increasing the amount seniors pay for increased health spending. This is key to any serious attempt to reform Medicare. The Commission recommends a single combined annual deductible of $550 for Medicare Parts A and B (hospital and medical care), with 20% coinsurance up to $5,500, 5% coinsurance from $5,500 to $7,500, and 0% cost sharing above $7,500. Restrict Medigap plans ($38 billion). This is another key element of serious Medicare reform: restricting the ability of private insurers to write plans that piggyback off of Medicare coverage, incentivizing seniors to overspend on health care. The Commission recommends prohibiting Medigap plans from covering the first $500 of an enrollee’s cost-sharing liabilities and no more than 50% of the next $5,000 in liabilities. Extend Medicaid drug rebate to dual eligibles ($49 billion). Currently, seniors who are eligible both for Medicare and Medicaid pay the private-sector (i.e., market-rate) prices for drugs through the Medicare prescription drug benefit. The Commission advocates requiring pharmaceutical companies to give these individuals the much-lower Medicaid rates. Reduce “excess” payments to hospitals for medical education ($60 billion). At present, Medicare provides supplemental funding to hospitals in order to subsidize the cost of training medical interns and residents (recent medical school graduates). The Commission advocates reducing these payments using a new formula. Cut Medicare payments for bad debts ($23 billion). Medicare reimburses hospitals and doctors for deductibles and copays owed those providers by patients, giving hospitals and doctors no incentive to track down those missed payments. The Commission recommends ending this practice. Accelerate Obamacare home health savings ($9 billion). The Commission recommends moving up the timetable for changes to reimbursements for home health providers, as mandated by PPACA, by several years. Eliminate state gaming of Medicaid tax gimmick ($44 billion). According to the Commission, many states game the system by taxing hospitals and doctors, and then using those revenues to pay for more health care delivered by those hospitals and doctors. Because the federal government gives states more Medicaid funding if the states “spend” more, this system allows states to effectively force Washington to fund profligate Medicaid spending. The Commission recommends “restricting and eventually eliminating this practice,” but declines to give specifics. Place dual eligibles in Medicaid managed care ($12 billion). Because the government reimburses doctors and hospitals at much lower rates in Medicaid relative to Medicare, putting these patients on Medicaid will save the government money. It will also reduce administrative redundancy. Reduce funding for Medicaid administrative costs ($2 billion). The Commission advocates passing these costs onto the states. Allow expedited application for Medicaid waivers in well-qualified states (no savings specified). The Commission advocates allowing ten states to opt out of the traditional Medicaid system, if they meet a set of “certain objective threshold criteria,” in order to come up with innovative new approaches. Malpractice reform ($17 billion). The Commission advocates incremental reforms to the malpractice litigation system, such as creating specialized health courts, allowing safe haven rules for providers who follow best practices, imposing a statute of limitations, etc. The Commission advocates that Congress “evaluate the impact” of “statutory caps on punitive and non-economic damages”: a victory for Democrats. A pilot voucher program through the Federal Employees Health Benefits (FEHB) system ($18 billion). The Commission advocates using the popular FEHB program as a vehicle for road-testing a voucher system that could be adapted to Medicare at some unknown point in the future. Allow IPAB to cut payments to hospitals. For all the talk about “death panels,” the Medicare Independent Payment Advisory Board, which is tasked with reducing Medicare spending, is essentially only allowed to cut payments to doctors if health costs grow too quickly. The Commission advocates allowing IPAB to cut payments to hospitals as well. Establish a long-term global budget for total health care spending. The Commission recommends “requiring both the President and Congress” to make further recommendations about reducing health spending. Cross-posted from The Science Business on Forbes.com. Yesterday, I wrote about the coming health-insurance disruption that would be precipitated by Obamacare’s new regulations of insurers’ “medical loss ratios.” Today, the internets are atwitter with commentary around a Wall Street Journal report describing a memorandum sent by McDonald’s to the Department of Health and Human Services, stating that, without a waiver from HHS, the company will be forced to drop coverage of 29,500 hourly-wage employees due to the new MLR regulations. McDonald’s, fearing the P.R. blowback, put out a statement asserting that “media reports stating that we plan to drop health care coverage for our employees are completely false.” This is your classic non-denial denial: the Journal didn’t say that McDonald’s was “planning” to drop its health coverage, but rather that it would be forced to do so if it wasn’t granted a waiver from the new MLR restrictions. HHS Secretary Kathleen Sebelius, for her part, pointed out that HHS “can’t waive a regulation that doesn’t even exist”: the final MLR regulations won’t be available until late October at the earliest. The later that date drags out, the worse it is for employees, as insurers and employers are forced to make decisions about their 2011 plans. The problem for McDonald’s is pretty basic: the federal policy requires all insurance plans from large employers to spend 85% of their premiums on medical claims. The problem with Washington’s one-size-fits-all mandate is that not all insurance plans are the same. In the case of McDonald’s plan, the high turnover of its workforce results in unusually high administrative costs. The problems that McDonald’s face apply to every similar employer with a large low-wage workforce, affecting as many as one million Americans. The Journal’s report touched off a firestorm of often-defensive reactions from advocates of the new health law. Unfortunately, their arguments don’t hold up to scrutiny. Let’s go through them. Aaron Carroll of The Incidental Economist implies that we shouldn’t get exercised about the Journal article because it’s old news. “Read it if you like. I enjoyed the story. I also liked it the first time I read it. In Politico. In June.” This isn’t a strong argument: because a (not-McDonald’s-specific) story was published once, on a web site for Washington insiders and political junkies, the problem shouldn’t be discussed more widely, as the real-life consequences of the law come closer to reality? But Cohn doesn’t explain why it make sense to throw people off of insurance for three years while we wait for Obamacare’s mandates to kick in. And not everyone agrees that mini-med plans are so terrible. “For those who didn’t have health insurance through their spouse, it was a life saver,” Jerry Newman, author of “My Secret Life on the McJob,” told the Journal. There is an alternative to mini-med plans, one that has proven wildly successful at other companies. We can call it the Whole Foods approach, after the gourmet grocery chain that made it famous. At Whole Foods, the company funds 100 percent of the insurance premiums for hourly employees who sign up for their combination of high-deductible health plans and health savings accounts. On top of paying for health insurance, the company puts up to $1,800 per year into employees’ tax-free Personal Wellness Accounts, to spend on health care expenses as they see fit. If they are healthy in one year, they can save that money towards next year’s health costs. This kind of arrangement addresses Cohn’s objection to mini-med plans—without onerous federal regulation—and helps to bring down the cost of health care for everyone by reducing wasteful overspending. By contrast, the Obamacare approach—forcing employers to cover everyone with lavish insurance benefits like the kind Cohn prefers—will dramatically drive up the cost of labor. The economic consequences of that mandate will be harsh: companies will hire less workers (because workers will become more expensive, and there is only so much money to go around). This will lead to more unemployment. The unemployed will in turn live off of Medicaid and other state-subsidized insurance plans, which will consign them to substandard health care, and cost taxpayers billions of dollars. Those companies that try to hold onto their hourly employees, or feel forced to by the law’s employer mandate, will have to pass these costs onto consumers, in the form of higher prices: a $2 Big Mac will cost $4. It’s one thing for consumers to choose to pay more. (My Forbes colleague David Whelan thinks those offended by McDonalds’ health plans should vote with their wallet by shopping at Starbucks.) But it’s quite another for the government to force higher costs and higher unemployment upon an already fragile economy. 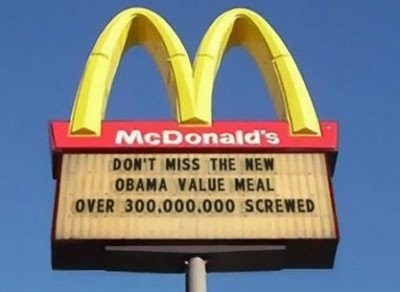 For there is no such thing as a free Big Mac. Imagine if you ran a business, and one day the government told you that you would be fined if you: (1) minimized unnecessary expenses; (2) hired workers to specialize in customer service; (3) invested resources in order to ensure you wouldn’t get victimized by fraud. What would you do? Think quickly: because three months from now, this very system will be the law of the land for our nation’s health insurers. Last Friday, the National Association of Insurance Commissioners—the association of the 50 state insurance commissioners—issued its draft guidelines for how insurers will need to calculate “medical loss ratios,” or MLRs. Regular readers will recall that the medical loss ratio is loosely defined as the dollar amount that an insurer spends on the health care of its beneficiaries, divided by the total dollar amount the insurer collects in premiums. Section 2718 of our new health care law mandates that insurance plans sold to individuals and small employers must spend at least 80 percent of their premiums on health care, and plans sold to large employers must spend at least 85 percent. 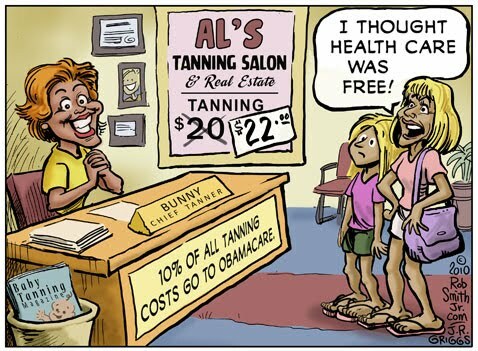 But, like everything else with Obamacare, the devil is in the details: how do you define health care? How do you define “insurance plan”? Now that the NAIC has spoken, we have a good idea of how the final regulations will look. 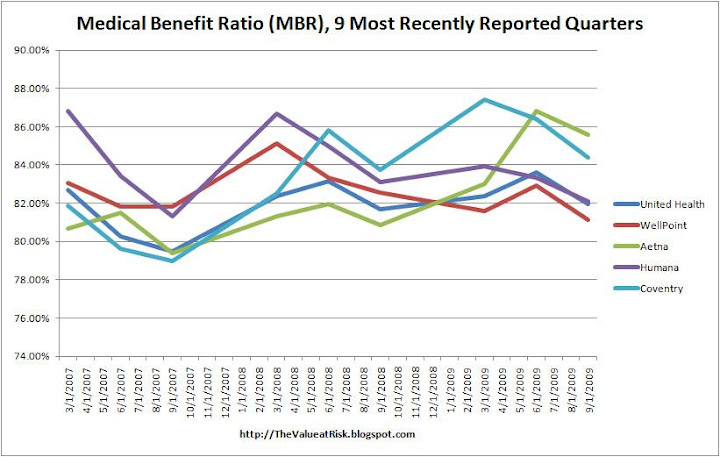 And the news is not good: the MLR regulations are likely to lead to a significant disruption of the health insurance market, with many insurers exiting the market, driving premiums up and choices down. And this isn’t just my opinion. 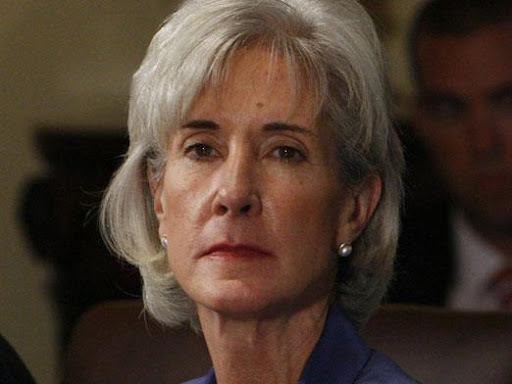 Maine Superintendent of Insurance Mila Kofman wrote a letter to HHS Secretary Kathleen Sebelius, asking Sebelius to waive the MLR rules for Maine until 2014. “One insurer has indicated its intent to pull out of individual markets (and has explicitly named one state where that decision has already been made),” wrote Kofman. “Prior to 2014, implementation of an 80% medical loss ratio requirement may destabilize the individual health insurance market in Maine.” Maine currently has a state MLR requirement of 65 percent; eliminating 15 percent of an insurer’s budget in three months is no small task. MLRs will be measured against individual state entities. Many insurance companies operate plans in multiple states across the country. If you add up all the plans and average their MLRs, you get close to the 80 percent and 85 percent thresholds. But, on a plan-by-plan level, some of those plans have MLRs as high as 170 percent (which the government deems to be good), whereas others have MLRs as low as 30 percent (bad). This has to do with case-by-case characteristics like how new or old the plan is (newer plans typically have younger, healthier policyholders who have less expenses and thus lower MLRs). The higher 85 percent MLR threshold will begin at 50 employees. Insurance sold to “large” employers will be subjected to the higher 85 percent threshold, as opposed to “just” 80 percent for small groups and individuals. PPACA specified that the threshold for being counted as a large employer could be as high as 100 employees; the NAIC decided to bring that threshold lower for the next five years, to 50 employees, significantly expanding the group of employers who will be ensnared by the 85 percent requirement. Important health care management activities will be curtailed. The NAIC explicitly excluded certain important activities from the MLR calculation, including: reviewing insurance claims to prevent unnecessary tests and procedures; fraud prevention activities; and doing due diligence and keeping tabs on hospitals and doctors to ensure they are performing high-quality, high-value medicine. The consequence of these restrictions will be to drive up the cost of insurance: if insurers can’t invest in reducing fraud and waste, they will have to spend more of their money on fraudulent and wasteful health care, driving up the cost of insurance. In addition, as Arnold Kling points out, since insurers will be financially penalized for investing in customer service, there will be less of it. If you thought your insurer was unsympathetic and unresponsive before Obamacare, just wait. The status of health savings accounts remains unclear. By my reading, the NAIC draft guidelines are silent on the question of whether HSAs will count towards the MLR requirements. If HSAs do not count towards MLR, consumer-driven health plans will immediately become illegal. The Department of Health and Human Services, for its part, asserts that “nothing in the legislation would infringe upon the ability of an individual to contribute to a Health Savings Account.” If this is true, shouldn’t regulators explicitly say so? The NAIC draft guidelines are open to public comment until October 4. The organization plans to submit its final recommendations to Secretary Sebelius later in the month. PPACA gives Sebelius the freedom to enact whatever regulations she likes on the MLR matter, though she is likely to accept the NAIC’s recommendations so as to avoid stoking further controversy. She is likely to wait until after the November elections to issue the final regulations, leaving insurers less than two months to radically reorder their businesses, or face crippling fines. Residents of states whose insurance markets aren’t up to Washington’s snuff are in for a serious disruption of their health care. This situation has all the makings of a giant mess. And if a mess does indeed come to pass, let no one pull the wool over your eyes as to how and why it happened. Harvard Pilgrim Health Care has notified customers that it will drop its Medicare Advantage health insurance program at the end of the year, forcing 22,000 senior citizens in Massachusetts, New Hampshire, and Maine to seek alternative supplemental coverage. The decision by Wellesley-based Harvard Pilgrim, the state’s second-largest health insurer, was prompted by a freeze in federal reimbursements and a new requirement that insurers offering the kind of product sold by Harvard Pilgrim — a Medicare Advantage private fee for service plan — form a contracted network of doctors who agree to participate for a negotiated amount of money. Under current rules, patients can seek care from any doctor. Harvard Pilgrim in a second mailing this week will urge customers to switch to a new Medicare Supplement plan it will begin offering in October. Unlike Medicare Advantage, which is overseen by the Centers for Medicare and Medicaid Services, the new Harvard Pilgrim plan will be overseen by the Massachusetts Division of Insurance. It will be “slightly more expensive’’ than the Medicare Advantage plans, but competitive with supplemental insurance plans offered by rivals such as Blue Cross Blue Shield of Massachusetts, the state’s largest health insurer, Bowman said. She said the Medicare Supplement plan will feature some benefits not covered by the current plan, such as fitness reimbursements, but won’t pay for prescription drugs, which are covered by some versions of the current plan. Instead, seniors can buy separate supplemental drug coverage through a partnership with Coventry Health Care, in Bethesda, Md.